There are dozens and dozens of contests offered each year that can help you catch the eye of an agent. From Miss Snark’s Secret Agent contest to Pitch Wars to twitter events like AdPit there’s a contest for every genre, every category and every writer out there. Should you take a chance and enter one? If you have a finished, polished manuscript a contest might be just the thing you need. And in the case of PitchWars, it doesn’t even need to be polished - just complete. Some agents are closed to queries virtually year round but will still participate in contests. It’s worth looking into if there’s an agent you have your heart set on. But winning the attention of a dream agent isn’t the only, or even the best reason to enter a contest. There are so many benefits. One of the most important is that contests usually have a community that builds up around them via message boards, twitter feeds and Facebook pages. All places that you can meet and interact with other writers. Making friends in the writing community is both personally and professionally rewarding. THESE are your people. They know what you’re going through because they’re going through it too. 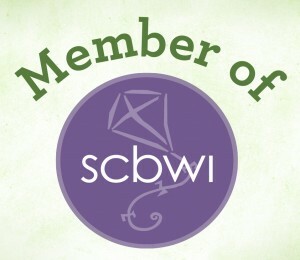 You can find critique partners, betas, editors, chat buddies, Twitter followers, blog post readers. In short - contests are amazing because if you put the time and effort into them and give back to the community, the community will give back to you. I’ve met some of the most amazing and wonderful writers through contests. Friends I am so thankful for and whom I get to cheer on in their writing journey, just as they’re cheering me on in mine. A lot of contests also have mentors who can help you hone your pitch, first page or first chapter. Critiques are bartered and exchanged pre-contest between writers. All of that advice can really help and you’ll be a stronger writer at the end. Contests also have an element of anticipation and a set deadline. Let’s face it, the publishing game is all about waiting and patience. With a contest, you have set dates and you know when things are going to happen. That can be rather nice in the uncertain writing world. It’s scary putting your writing out there for others to judge, but if you want to be a better writer, contests are a great resource. No matter the outcome of any given contest, just by entering you’ve already won. 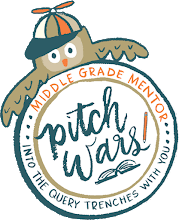 Upcoming contests: Pitch Slam!, PitMad, NestPitch. Feel free to list other upcoming contests in the comments!